The Ballydoyle team celebrated an impressive treble at Saturday’s Ballylinch Stud Classic Trials Day at Leopardstown. Broome (Australia) produced arguably the most impressive performance of the day when streaking home eight lengths clear in the Group 3 Ballysax Stakes. 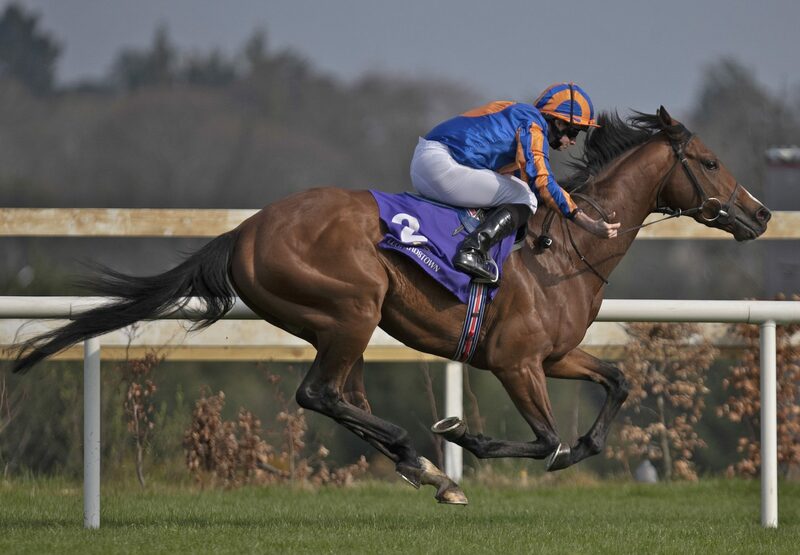 Adding to the exciting nature of his seasonal return was that the bay colt was last with three furlongs left to race and displayed a superior turn of foot to power past stablemate Sovereign (Galileo) approaching the final furlong. Broome was following up on stablemate Never No More (No Nay Never) landing the 2,000 Guineas Trial Stakes over seven furlongs earlier on the card. An impressive winner last time out at Naas, the chestnut colt faced leading Classic fancy Madhmoon, whom he headed inside the final furlong and kept on to beat the favourite by half a length. O’Brien later mentioned the French Guineas as a preferred option for Never No More, while he also holds an entry in the Irish Classic. Ryan Moore and Aidan O’Brien completed a fine treble when Eminence ran out a comfortable three and a half length winner of the penultimate race on the card. Racing over ten furlongs for the first time, his now proven stamina bodes well for the colt’s Epsom Derby entry. Bred by Flor and Mary Ryan, Eminence was bought by M.V. Magnier for 425,000gns at the Tattersalls Book 1 Yearling Sale.